Album working title: Cascading Carnage. Although all four members are credited on the sleeve, according to http://www.ausmetalguide.com/Abominator, this album was recorded by the two-piece of Volcano and Undertaker! 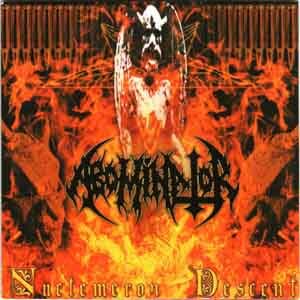 Recorded (Oct-Dec 2002) and mixed (Jan 2003) by Abominator and Mark McCormack at St. Andrew's Studios, Cheltenham, Melbourne.